Tessa and Daniel met at law school in Manchester, England and spent their first summer together inter-railing around Italy. 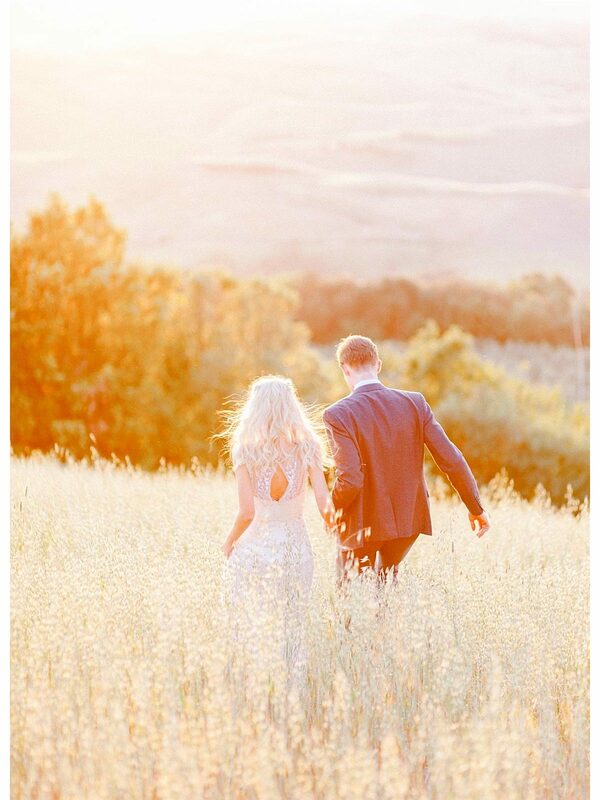 They quickly fell in love with each other… and with Tuscany. And so, 10 years later, it made perfect sense for them to get married in a beautiful, secluded villa, surrounded by the rolling Tuscan hills. The couple started the celebrations with an intimate civil ceremony in the courtyard of San Gimignano’s town hall. Then, once the legal bit was done, a four day celebration followed in the enchanting Villa di Ulignano, near Volterra. They chose the villa because it had something different – as well as being utterly beautiful and truly Tuscan, it had soul. And so did their wedding. The couple aimed for a bohemian, “shabby chic” wedding, with a dash of elegance. The colour palette was made up of golds and coppers, to reflect the warm glow of a Tuscan sunset. The symbolic ceremony was held in the villa’s beautiful gardens and started with the stunning bride, Tessa, descending a stone staircase in Jenny Packham’s “Hermia” dress, to Jasmine Tompson’s version of Hozier’s “Cherry Wine”.